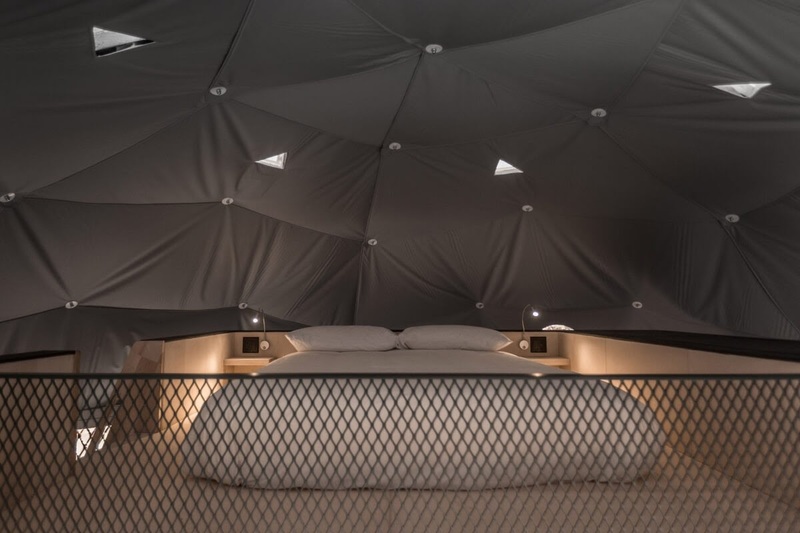 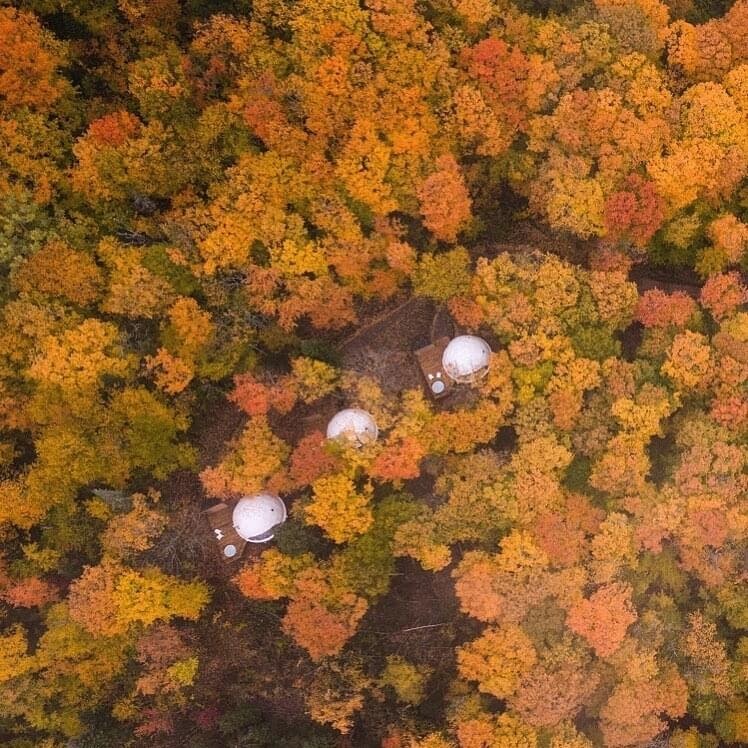 Domes that immerse you into nature and carry all of the creature comforts of a luxury stay. 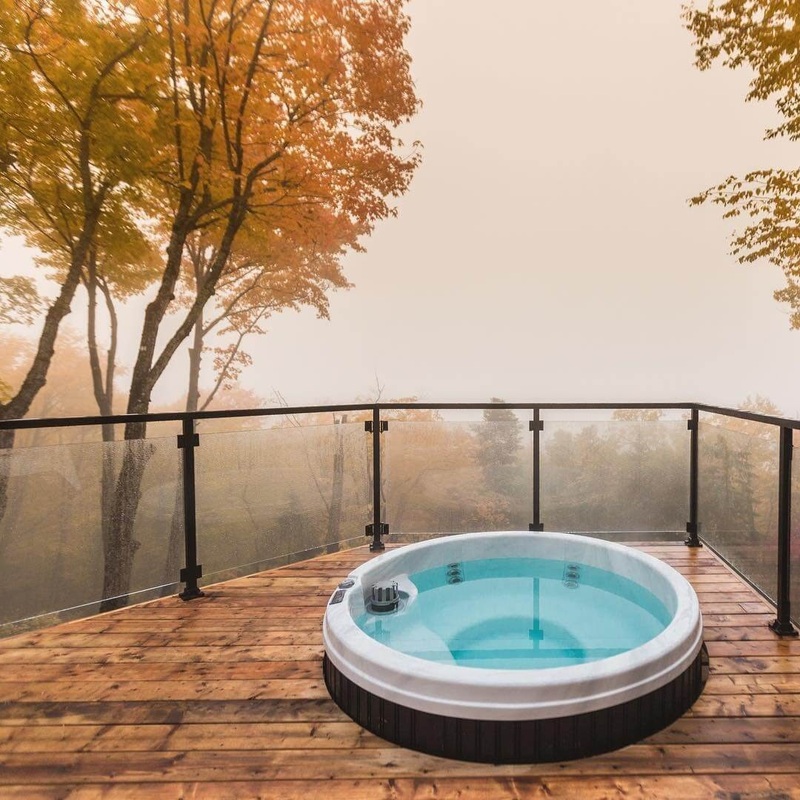 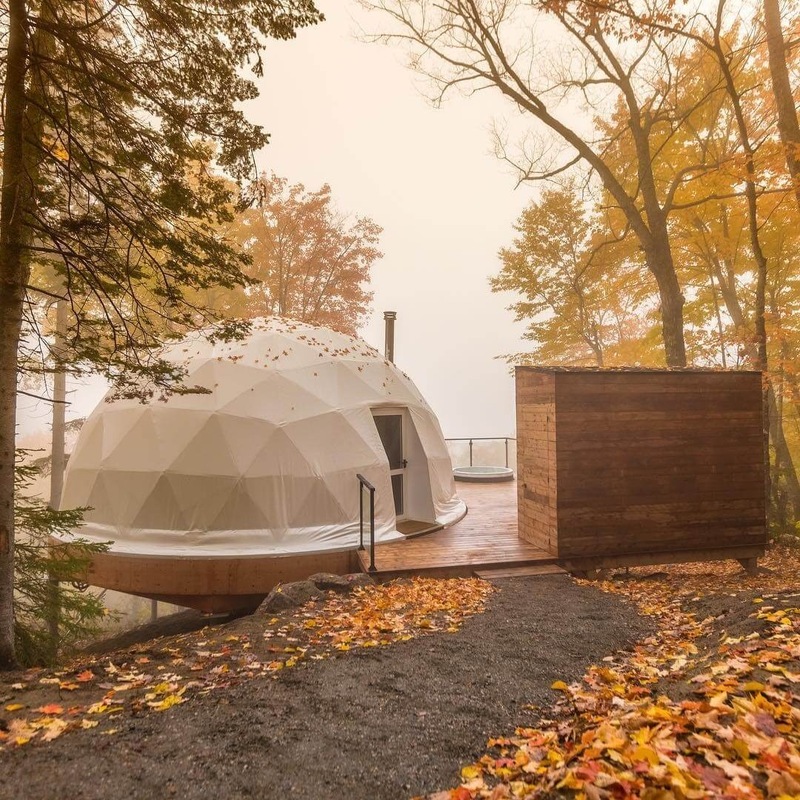 Domes Charlevoix are situated in Quebec and provide a relaxing stay for all seasons of the year. 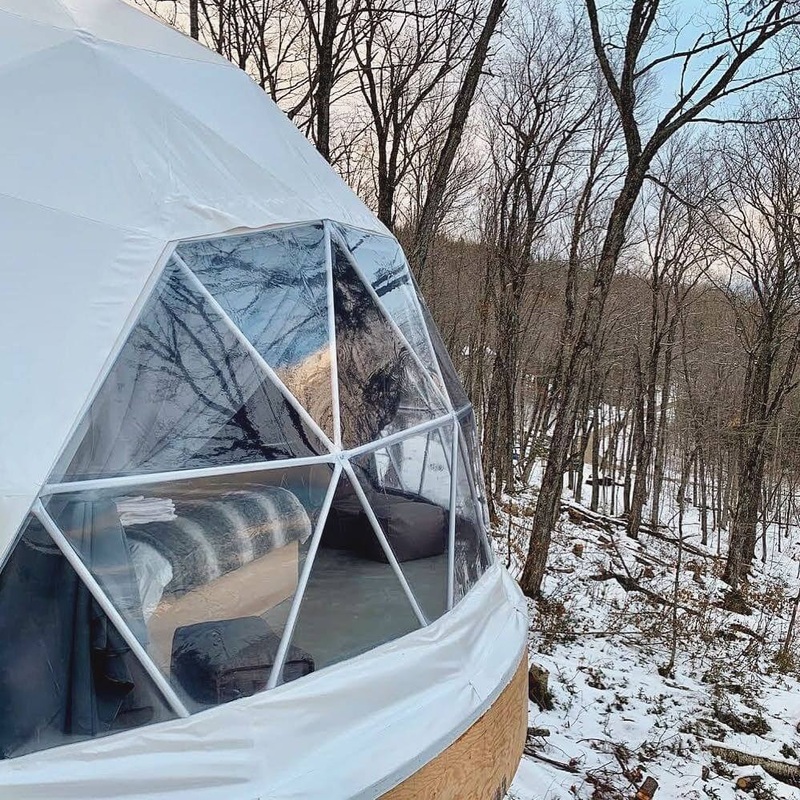 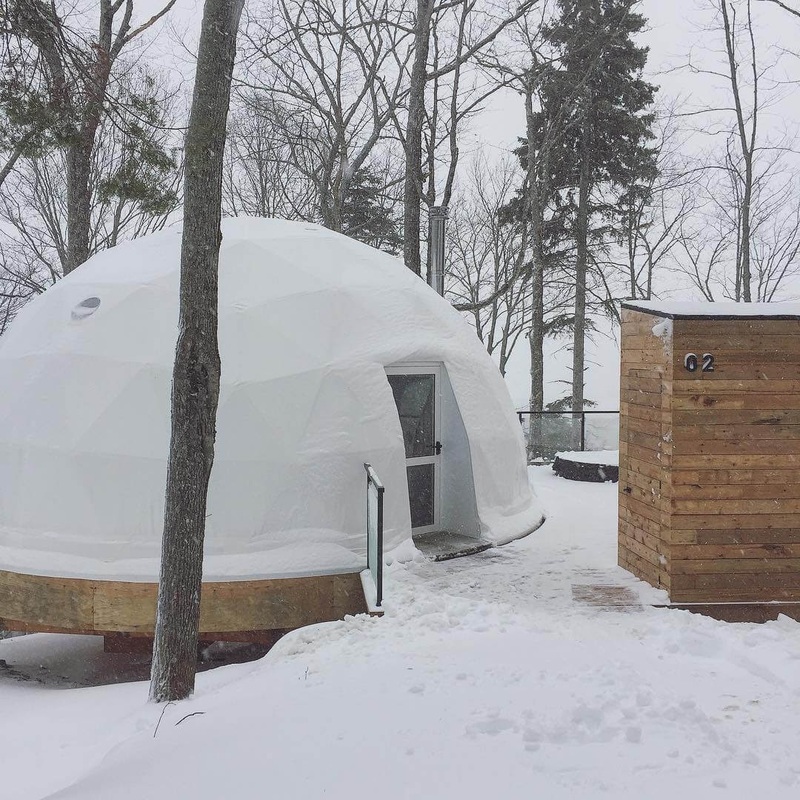 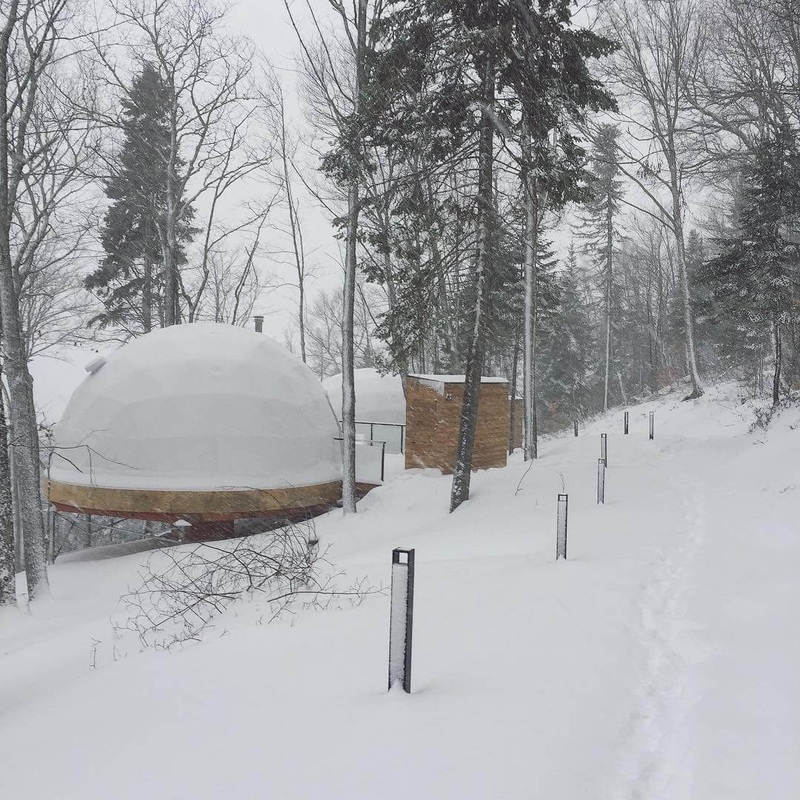 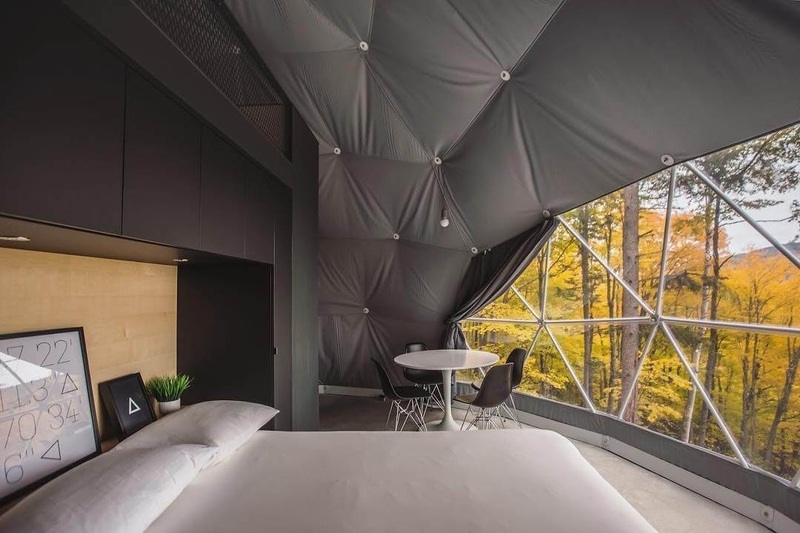 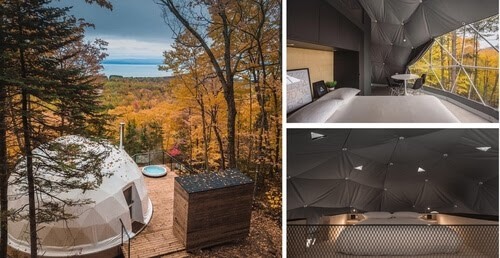 These sustainable geodesic domes, are built for the cold Canadian winters, as well as their summers. 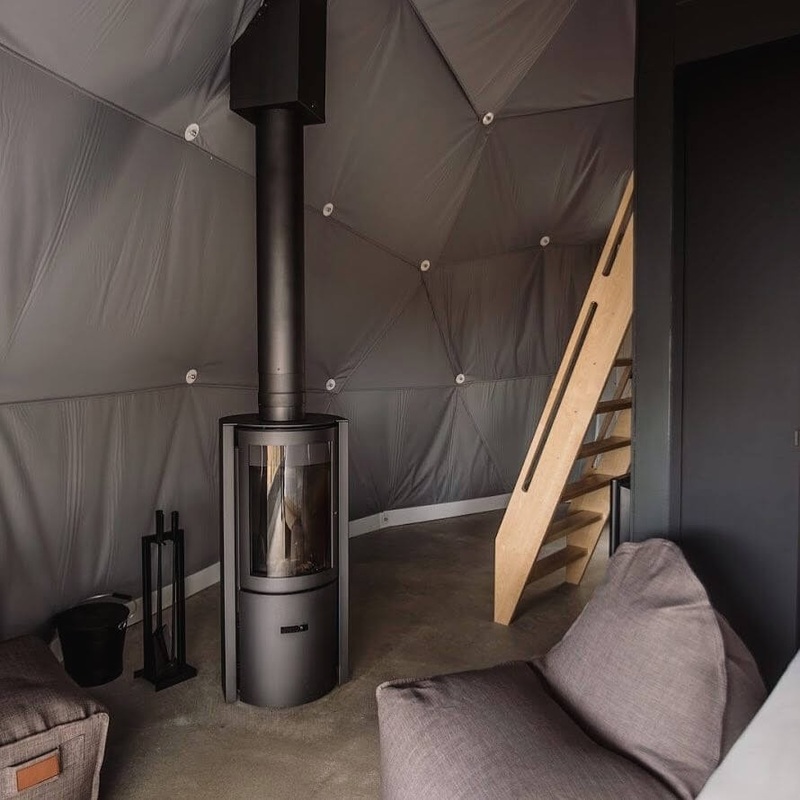 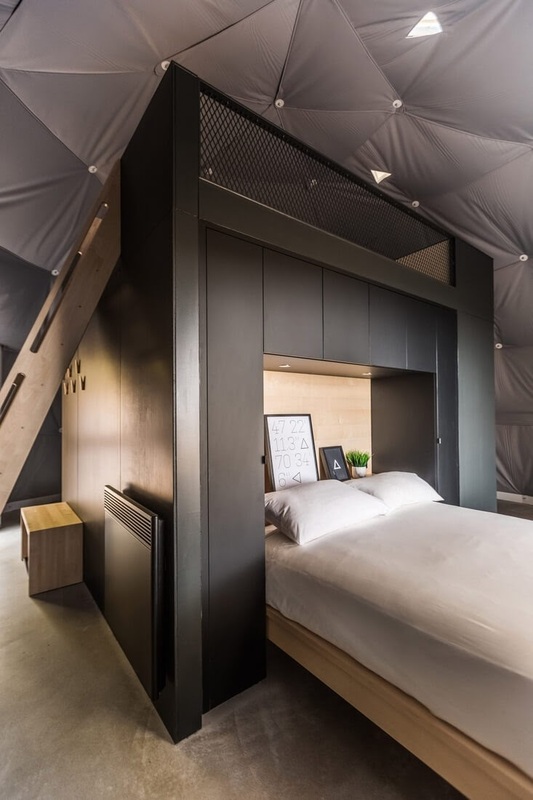 This eco-friendly construction can house 4 people comfortably, with two double beds, one on the ground floor and one bedroom on the mezzanine level and a fireplace, to make it feel warm and cosy, during the cold nights. 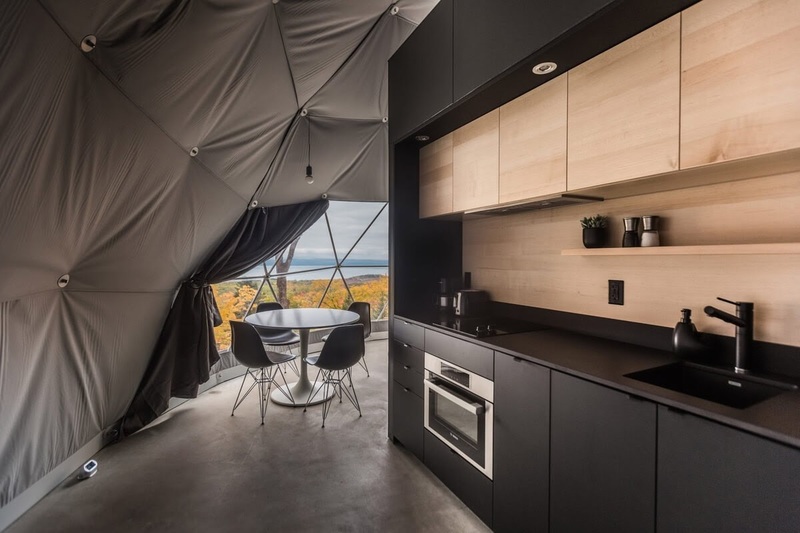 It comes with a spacious bathroom (don't seem to have any photographs for that) and a kitchen, that you can see in the photos below. 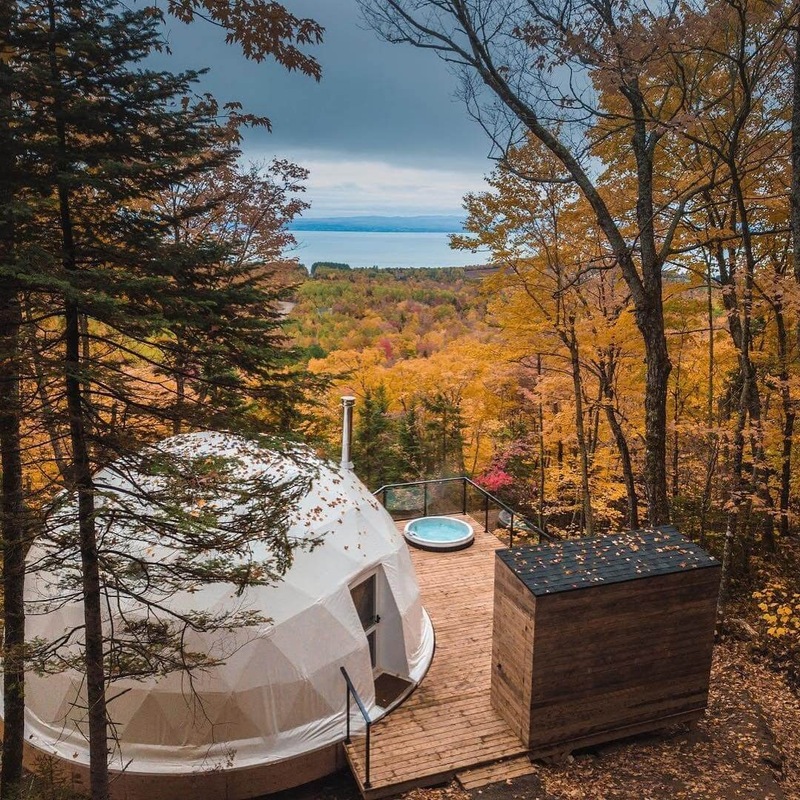 If you want a base point from which you can explore nature, or a quiet place to gather you thought and decompress, from the mad dash and rush of daily life, this is a place, that could really recharge your batteries, a place I can see myself spending some time in.